Match ends, Poland U21 1, Italy U21 2. Second Half ends, Poland U21 1, Italy U21 2. Adam Masina (Italy U21) is shown the yellow card. Foul by Federico Di Francesco (Italy U21). Tomasz Kedziora (Poland U21) wins a free kick in the defensive half. Federico Ricci (Italy U21) wins a free kick in the attacking half. Foul by Radoslaw Murawski (Poland U21). Attempt saved. Federico Ricci (Italy U21) right footed shot from the right side of the box is saved in the bottom right corner. Assisted by Alberto Grassi. Attempt blocked. Alberto Grassi (Italy U21) header from the centre of the box is blocked. Assisted by Marco Benassi with a cross. Andrea Favilli (Italy U21) wins a free kick in the defensive half. Foul by Pawel Dawidowicz (Poland U21). Attempt saved. Federico Di Francesco (Italy U21) right footed shot from the left side of the box is saved in the centre of the goal. Attempt blocked. Alberto Grassi (Italy U21) right footed shot from outside the box is blocked. Assisted by Marco Benassi. Rolando Mandragora (Italy U21) wins a free kick in the defensive half. Foul by Jan Bednarek (Poland U21). Attempt missed. Marco Benassi (Italy U21) header from the centre of the box is close, but misses to the right. Assisted by Federico Di Francesco with a cross. Substitution, Italy U21. Alberto Grassi replaces Lorenzo Pellegrini. Foul by Krzysztof Piatek (Poland U21). Substitution, Poland U21. Jaroslaw Niezgoda replaces Patryk Lipski. Substitution, Poland U21. Krzysztof Piatek replaces Mariusz Stepinski. Attempt missed. Alex Ferrari (Italy U21) left footed shot from the centre of the box misses to the left following a corner. Corner, Italy U21. Conceded by Tomasz Kedziora. Offside, Poland U21. Pawel Jaroszynski tries a through ball, but Adam Buksa is caught offside. Delay in match Patryk Lipski (Poland U21) because of an injury. 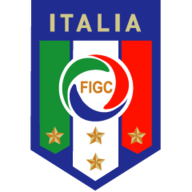 Delay in match Manuel Locatelli (Italy U21) because of an injury. Adam Buksa (Poland U21) wins a free kick in the defensive half. Foul by Marco Benassi (Italy U21). Substitution, Italy U21. Andrea Favilli replaces Alberto Cerri. Substitution, Italy U21. Adam Masina replaces Antonio Barreca. Rolando Mandragora (Italy U21) is shown the yellow card for a bad foul. Przemyslaw Frankowski (Poland U21) wins a free kick in the defensive half. Foul by Rolando Mandragora (Italy U21). Foul by Adam Buksa (Poland U21). Alex Ferrari (Italy U21) wins a free kick in the defensive half. Davide Biraschi (Italy U21) is shown the yellow card. Attempt missed. Mariusz Stepinski (Poland U21) left footed shot from outside the box is high and wide to the left. Attempt missed. Federico Ricci (Italy U21) header from the centre of the box misses to the left. Assisted by Lorenzo Pellegrini with a cross. Substitution, Poland U21. Adam Buksa replaces Dawid Kownacki. Pawel Jaroszynski (Poland U21) wins a free kick in the defensive half. Foul by Federico Ricci (Italy U21). Attempt missed. Alex Ferrari (Italy U21) right footed shot from the right side of the box is close, but misses to the right. Assisted by Lorenzo Pellegrini. Penalty missed! 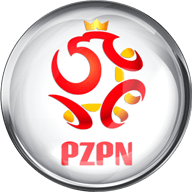 Still Poland U21 1, Italy U21 2. Alberto Cerri (Italy U21) hits the right post with a right footed shot. Tomasz Kedziora (Poland U21) is shown the yellow card for a bad foul. Penalty conceded by Tomasz Kedziora (Poland U21) after a foul in the penalty area. Penalty Italy U21. Federico Di Francesco draws a foul in the penalty area. Substitution, Italy U21. Federico Ricci replaces Domenico Berardi. Substitution, Italy U21. Rolando Mandragora replaces Davide Calabria. Substitution, Italy U21. Manuel Locatelli replaces Danilo Cataldi. Attempt blocked. Federico Di Francesco (Italy U21) right footed shot from the left side of the box is blocked. Assisted by Lorenzo Pellegrini. Attempt saved. Marco Benassi (Italy U21) right footed shot from outside the box is saved in the top centre of the goal. Assisted by Danilo Cataldi. Foul by Pawel Jaroszynski (Poland U21). Alberto Cerri (Italy U21) wins a free kick on the right wing. Foul by Przemyslaw Frankowski (Poland U21). Lorenzo Pellegrini (Italy U21) wins a free kick in the defensive half. Substitution, Poland U21. Przemyslaw Frankowski replaces Jaroslaw Kubicki. Offside, Poland U21. Jakub Wrabel tries a through ball, but Bartosz Kapustka is caught offside. Offside, Poland U21. Radoslaw Murawski tries a through ball, but Bartosz Kapustka is caught offside. Goal! Poland U21 1, Italy U21 2. Marco Benassi (Italy U21) right footed shot from outside the box to the bottom left corner. Assisted by Danilo Cataldi following a set piece situation. Foul by Patryk Lipski (Poland U21). Federico Di Francesco (Italy U21) wins a free kick in the attacking half. Domenico Berardi (Italy U21) wins a free kick on the right wing. Jaroslaw Kubicki (Poland U21) wins a free kick in the attacking half. Foul by Davide Calabria (Italy U21). Second Half begins Poland U21 1, Italy U21 1. Substitution, Italy U21. Federico Di Francesco replaces Federico Chiesa. Pawel Jaroszynski (Poland U21) is shown the yellow card. First Half ends, Poland U21 1, Italy U21 1. Offside, Italy U21. Domenico Berardi tries a through ball, but Alberto Cerri is caught offside. Attempt saved. Domenico Berardi (Italy U21) left footed shot from the right side of the box is saved in the bottom right corner. Tomasz Kedziora (Poland U21) wins a free kick in the attacking half. Foul by Federico Chiesa (Italy U21). Attempt saved. Marco Benassi (Italy U21) left footed shot from outside the box is saved in the centre of the goal. Goal! Poland U21 1, Italy U21 1. Dawid Kownacki (Poland U21) right footed shot from the centre of the box to the bottom right corner. Assisted by Bartosz Kapustka. Attempt missed. Domenico Berardi (Italy U21) left footed shot from outside the box is high and wide to the left. Assisted by Lorenzo Pellegrini. Foul by Antonio Barreca (Italy U21). Danilo Cataldi (Italy U21) wins a free kick in the attacking half. Danilo Cataldi (Italy U21) wins a free kick in the defensive half. Attempt missed. Domenico Berardi (Italy U21) left footed shot from outside the box is too high. Assisted by Marco Benassi. Attempt saved. Jaroslaw Kubicki (Poland U21) right footed shot from outside the box is saved in the centre of the goal. Assisted by Dawid Kownacki. Goal! Poland U21 0, Italy U21 1. Lorenzo Pellegrini (Italy U21) left footed shot from outside the box to the bottom right corner. Assisted by Federico Chiesa with a headed pass. Foul by Tomasz Kedziora (Poland U21). Federico Chiesa (Italy U21) wins a free kick in the attacking half. Delay in match Alex Ferrari (Italy U21) because of an injury. Offside, Poland U21. Jakub Wrabel tries a through ball, but Mariusz Stepinski is caught offside. Jan Bednarek (Poland U21) wins a free kick in the defensive half. Foul by Alberto Cerri (Italy U21). Attempt blocked. Dawid Kownacki (Poland U21) right footed shot from outside the box is blocked. Assisted by Mariusz Stepinski. Attempt missed. Alex Ferrari (Italy U21) left footed shot from the centre of the box misses to the right. Assisted by Danilo Cataldi with a cross following a corner. Corner, Italy U21. Conceded by Radoslaw Murawski. Attempt blocked. Antonio Barreca (Italy U21) right footed shot from the left side of the box is blocked. Attempt saved. Domenico Berardi (Italy U21) left footed shot from the left side of the box is saved in the centre of the goal. Assisted by Lorenzo Pellegrini. Attempt missed. Federico Chiesa (Italy U21) right footed shot from outside the box is close, but misses to the right. Assisted by Alberto Cerri. Attempt saved. Jan Bednarek (Poland U21) header from the centre of the box is saved in the bottom right corner. Assisted by Patryk Lipski with a cross. Delay in match Jaroslaw Kubicki (Poland U21) because of an injury. Corner, Poland U21. Conceded by Davide Biraschi. Attempt blocked. Tomasz Kedziora (Poland U21) right footed shot from outside the box is blocked. Corner, Poland U21. Conceded by Marco Benassi. Mariusz Stepinski (Poland U21) wins a free kick on the right wing. Foul by Alex Ferrari (Italy U21). Foul by Danilo Cataldi (Italy U21). Attempt blocked. Marco Benassi (Italy U21) left footed shot from outside the box is blocked. Assisted by Federico Chiesa. Mariusz Stepinski (Poland U21) wins a free kick in the defensive half. Attempt missed. Dawid Kownacki (Poland U21) header from the right side of the six yard box is just a bit too high. Assisted by Patryk Lipski with a cross. Offside, Italy U21. Federico Chiesa tries a through ball, but Antonio Barreca is caught offside. Attempt blocked. Federico Chiesa (Italy U21) left footed shot from the left side of the box is blocked. Assisted by Antonio Barreca. Federico Chiesa (Italy U21) wins a free kick in the defensive half. Mariusz Stepinski (Poland U21) wins a free kick on the left wing. Foul by Davide Biraschi (Italy U21).